Would you like to drive in style? Here is a Lexus that is affordable and comfortable to drive. It is equipped with a 3.5L DOHC V6 Engine with only 123K miles on the odometer. The leather seats are comfortable and in great condition. Great car to travel with friends and family which comfortably seats 5 people. 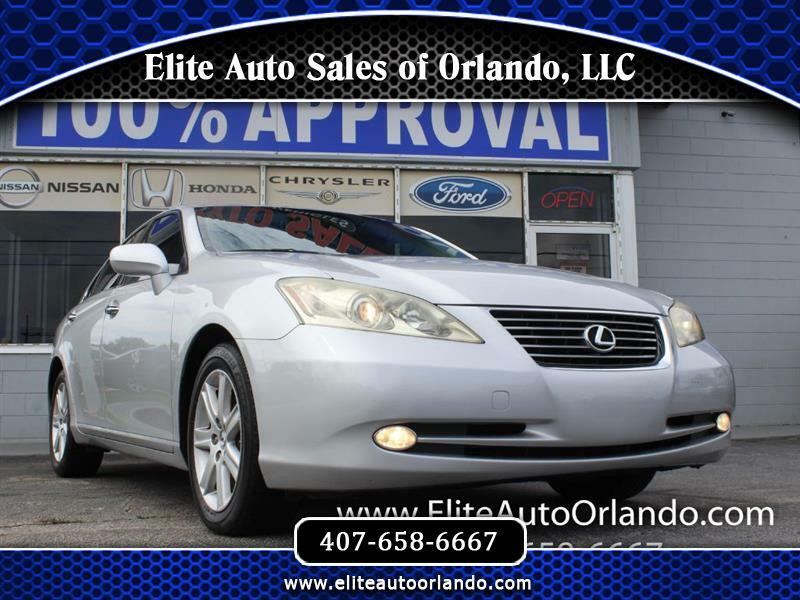 This car has class and is reliable.Elite Auto Sales of Orlando will strive to provide complete satisfaction for all customers. Our friendly staff presents total openness and caring solutions to make your transition into your new vehicle as smooth as possible. We are a Florida licensed automobile dealer and have an on-site mechanic shop where all vehicles are inspected and serviced. Call us now at (407)658-6667 or fax us at (407) 275-6676. We offer 100% loan approval and guarantee satisfaction from our friendly staff.